The implementation of worldwide best practices increases performance and quality by enabling leaders to spend 80% of their time focused on feedback and coaching. TOPS (Teleperformance Operational Processes & Standards) is a daily performance management process: a step-by-step method structured based on the best practices of programs all around the world. 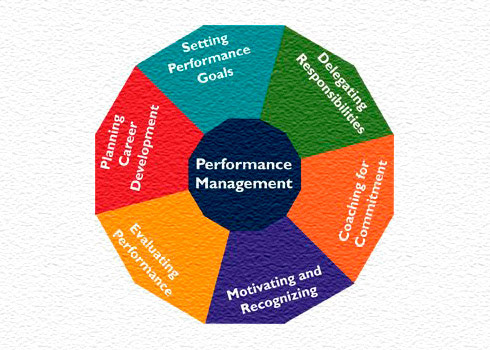 TOPS was created to support front line management in developing high-performance agents by managing performance metrics with consistency- day after day, week after week, month after month. TOPS improves performance and quality by enabling leaders to spend 80% of their time focused on feedback and coaching. This result is achieved through structured processes that provide leader with consistent assessments of agents' results. By following these processes, the leadership team achieves more efficiency, allowing them to spend more time giving support and feedback to agents, based on consistent analysis. All operational KPIs (Key Performance Indicators) are positively impacted by TOPS, as well as employee, customer and client satisfaction levels. In addition, TOPS brings global consistency to all Teleperformance programs. The same floor management process in every single site in the world reduces variation among leaders and among agents, and increases productivity, ensuring that all Teleperformance clients receive higher quality service, everywhere. By defining, sharing and implementing worldwide best practices, Teleperformance assures consistency and quality in all its operations, all over the world. Through decades of business and client service leadership, Teleperformance's commitment to quality has delivered BEST, Baseline Enterprise Standard for Teleperformance. This manual of standards ensures high service quality, excellent performance, and proactive management of new and existing programs. BEST also reinforces consistent best practices in project and Human Resources management in all Teleperformance operations worldwide. ATAC groups consist of experts in each KPI. ATAC groups take a holistic approach, focusing on each group's expertise, with the objective of continuously improving the performance of their programs. Attitude, Talent, Accountability and Commitment are the main characteristics we want to develop in our supervisors. The world-class ATAC project enables and facilitates this transformation process. The world-class ATAC plan follows the same goal as the world-class manufacturing practice originally started in Japan: to have natural groups (also called cells), with the objective of continuously improving their performance to maximize overall client results. Each business unit is autonomous with regard to performance, allowing each business unit to perform its best. The main benefits are to improve performance in the main KPIs and customer commitments, to provide an attractive career path to employees, to establish stronger relationships among support departments, to improve our communication channels, and to build a team oriented towards performance. All support departments are measured based on results.